Page, who turned 70 in January, has spent the past few years looking back. Not just to the glory days of Led Zeppelin, but also further into his past, to the days when he first discovered the instrument that changed his life, and the lives of millions of listeners. He recently published Jimmy Page by Jimmy Page, a 500-page “visual documentary to reflect my contribution to music,” which illustrates his career from first picking up an electric guitar all the way through to receiving the Kennedy Center Honors from Barack Obama. After starting as a hotshot session player, Page joined the Yardbirds, creating Led Zeppelin from the ashes of that pioneering band before conquering the world and redefining the parameters of rock. A few remarkable images in the book show Page, Robert Plant, John Paul Jones, and John Bonham performing as The New Yardbirds in 1968. Initially printed in a collectible limited edition, the book came out concurrently with the latest installments in an ongoing Led Zeppelin reissue/remaster campaign—souped-up releases of 1971’s 23-million-selling masterwork IV and its 1973 follow-up Houses of the Holy, each with an additional disc of alternate takes and isolated instrumental tracks. Page says that 2015 will see the release of the band’s remaining four studio albums, and now that he’s finished his work on the catalogue, he can begin focusing on some long-awaited new music of his own. Page discussed his past, present, and future seated in front of a fireplace in an empty, appropriately Goth-feeling lounge in a downtown Manhattan hotel. He still seems wistful when talking about Led Zeppelin. When I mentioned that I had attended the legendary, one-time-only band reunion at London’s O2 arena in 2007, he sighed—“Oh, crikey,” he said, “well, then, you felt it.” But Plant’s refusals to consider any further Zeppelin projects seem to have convinced Page that it really is time to move on (a recent report, since proven to be false, claimed that Plant tore up a contract offering the band $800 million for a tour). Cuepoint: Why did you want to do a photo history rather than a conventional autobiography? Jimmy Page: Well, nobody else has done it. I like doing things that no one else has done, and arriving at a really good conclusion, so it sets a sort of benchmark. When other biographies or autobiographies come out, I always look at the photographs to see if they have ones I haven’t seen before. So I thought this was a really good way of charting someone’s career, through all the incarnations. What does it reveal, beyond the chance to be present for these moments? I think it reveals the time capsule of music and fashion changing over the decades. And also my attitude and approach—from, say, when I was 13 to 33, you see the whole transformation, from sort of shy kid into somebody who’s got quite a lot more confidence. And the guitars, as well—the intervention of the double-neck guitar as a result of recording “Stairway to Heaven,” and wanting to be able to replicate the six-string parts and the twelve-string parts. I had to get that guitar to do that number, and of course that’s quite an iconic image, Jimmy Page with the double-neck. Other than the photo of you as a choirboy that opens the book, everything starts when guitars enter the picture. No, I’m playing the guitar at that point. 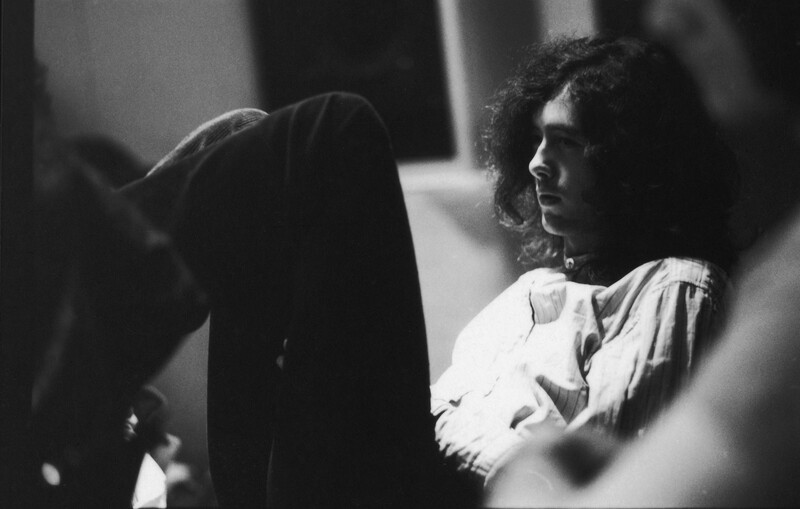 The son-in-law of the photographer, Mr. Coffin, who was the choirmaster and organist, said that he remembered him saying that Jimmy Page used to come to the choir practices early with his guitar to try to tune it to the organ. So I obviously had a book where it gave the notes of the keyboard, and I’m trying to tune it, but eventually somebody at school showed me how to tune it properly and to play some chords. How rare was it to encounter someone else playing a guitar at that time? There was one boy at school who could play. He played Lonnie Donegan songs, which was basically Leadbelly and Woody Guthrie and stuff. But I did meet Jeff Beck, because the word went ‘round that there was another one of these weird boys around. His sister went to the local art school in Epsom, and I think she was discussing her brother with somebody and they said, “Oh, there’s another one of those in Epsom,” and they arranged that we should meet. I had a guitar, but it was a homemade one, and then he turned up with a homemade guitar as well. So that’s how early back we know each other—around 12, 13, something like that. 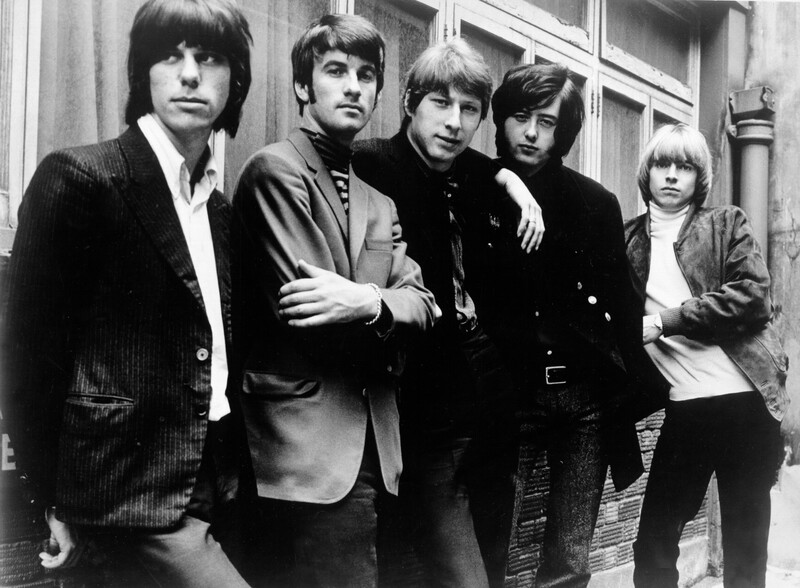 You did not have a conventional rock and roll path—first coming up through session work and then joining an established group, the Yardbirds. What was the tension between being a session player who could play on demand and trying to develop your own style? I guess it was somewhat hampered—well, I know it was, because once I got into the Yardbirds, playing the bow on the guitar, I was sort of let loose. I’d had the academic training in my guise as a studio musician. I’d learned a lot about recording techniques, and then I had to face up to learning how to read music. So by the time I came out of that, I had the studio discipline—because, to be honest with you, you had to be really good. If you messed up, you wouldn’t come back! I had never seen photos from the first “New Yardbirds” tour with the Led Zeppelin line-up actually performing under that name. It was like a cloak of invisibility, really. We had one rehearsal with the four members in my house, and we rehearsed what was going to be the new album to record, and also a set so we could go out there. There was a handful of Yardbirds dates in Scandinavia that were left over, once the band had dissolved, so it gave the opportunity to play this stuff in front of an audience and really be on it by the time we went in the studio. Did those audiences have any idea what hit them? Not really, no. It was pretty radical from anything else that they’d heard, that’s for sure. But it was meant to be—it was meant to scare the pants off of you! 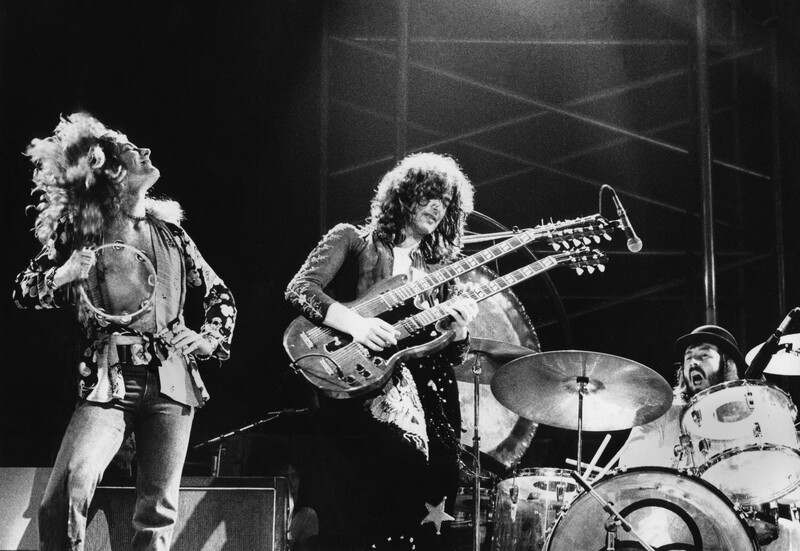 Speaking of the cloak of invisibility, one thing that was always so powerful about Led Zeppelin was the mystery around the group at all times. You didn’t even put photos of the band on the album covers. Is that something that’s still possible today? I don’t think you can do it now. I’ll give you an example: After we’d recorded some of the second album, we were playing dates and putting the material in. 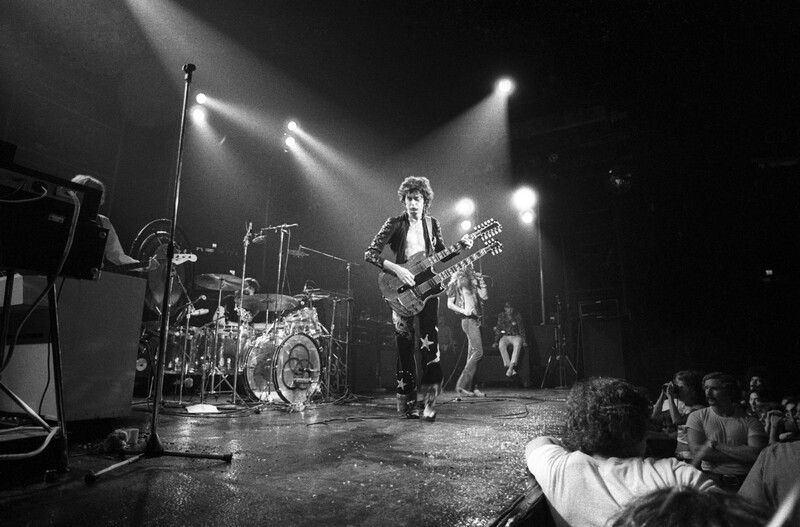 At the time we were touring, in ’71, at the time that the fourth album was about to come out, we were going out and playing “Black Dog” and “Stairway”—well, you just couldn’t do that now, because it would all be on YouTube. So you do it another way, you look at things another way. But at that time, it was the right way to go about it. People knew you weren’t taking it easy, you weren’t just going out there and playing the same thing every night. It was quite the opposite, really. So why in recent years have you felt it’s time to peel back that curtain a bit? There have been releases over the last ten years involving quite an amount of live material. I wanted to remaster the catalogue across all formats, because of course originally, it was purely for vinyl. And then, over twenty years ago, we went back to the analog tapes for CD. Well, now the way you can access music is across numerous formats—downloads, hi-res downloads—and I wanted to make sure that the studio albums have the best quality that you can have, across all formats. So that was the first thing. The second thing was that remastering your catalogue is one thing, but to actually put a companion disc—not bonus tracks, but a complete companion disc to all of the studio albums—that was a challenge. No one’s done that, so again, I like to do something that nobody’s done. And what it was meant to do is to give more information to each of the studio albums and what was going on at the time. It’s a sort of portal into that recording world. 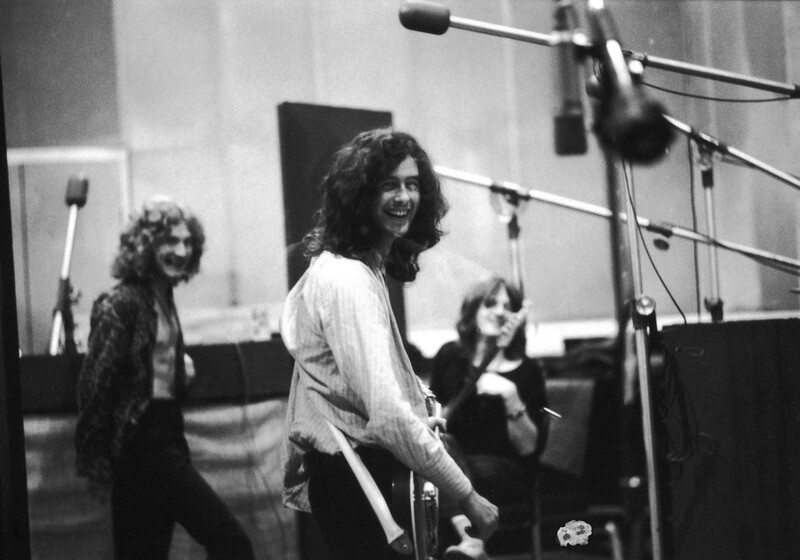 As you go back to the alternate takes, was recording with Led Zeppelin a process of refinement, of getting closer to a target you had in mind, or was it exploratory, trying different approaches and feeling out which worked best? It’s an either-or. You can hear what Robert’s doing with the vocals, and he’s going to finesse the vocals—because we all know the studio albums, that’s what’s so good about it. So when you’ve got something like “Whole Lotta Love” coming along, with a different sort of vocal to it and no chorus, this is exactly what it’s all about. On the latest release of Led Zeppelin IV, we’ve got a “Black Dog” version, which is really raw but it’s cool, the overall intent is there. And we’ve got a different “Rain Song,” the textures are different—same instruments, except the piano’s taken out for a great percentage of it, so more sort of guitar, lush orchestration on it. So give me the official answer: The record has come to be called Led Zeppelin IV, but there is no actual title on it. To you, what is the name of that album? We titled the albums in Roman numerals, but when it got to four, I didn’t really want to put “One-Vee,” or use the digit 4, so we arrived at the idea of having symbols for each of us. Initially there was talk of having one symbol, but that would come out like a logo. So you had four members, each choosing their own symbol, that makes four entities, so that’s Led Zeppelin Four. That’s the way I saw it. That album has become the towering Zeppelin achievement to the world, the bestseller of them all. Do you understand why that’s the one with that legacy? It’s an interesting set of circumstances as far as the recording goes. There was this house in the countryside where some bands had rehearsed—though no one had recorded there—so there weren’t any noise problems. You weren’t going to get neighbors shutting down what you were doing. So I asked the rest of the group whether they would go into this place and all eat there, sleep there, and make music there. And with the aid of a recording truck, the Rolling Stones mobile truck, which parked in the drive, we’d be able to start seeing what we could do. I think everybody was so keen on the idea because they knew just how magical this time was, from the live shows that things were changing. It was a tantalizing challenge. So we did that, we all lived there, and the body of work that comes out of that is pretty substantial. We’ve got something as intense, and as menacing, as “Levee Breaks” to something as caressing and intimate as “Going to California.” So it goes from one extreme tangent to another. And under those circumstances, we really delivered an amazing piece of work. How do you feel about the state of guitar-based rock and roll today? As long as we all support wherever people are putting on young bands, in live gigs, especially those that pay young bands and give them a chance so they can start building up a following, that’s what’s important. There’s some good music going on. I haven’t got the chance to put my finger on the pulse here, but I live in London, and I go to three or four clubs where young bands who are not signed play. I just like to hear what they’re doing—not for any business reason, but purely to encourage everything that’s going on in that field. The bigger rock bands—Queens of the Stone Age, Black Keys—do they do anything for you? I don’t know. I’ve seen them, and they’re all very good. Kings of Leon I think is a superb band. But the last time I came here, I saw this band Royal Blood. I was fascinated by that, absolutely. They’re new, young, they’re fabulous musicians. In England, I’ve been watching a little band called Du Bellows. They’ve got a female singer, and she’s pretty good. I’m still passionate about it, and I still love it, so it’s great. Your playing at the O2 show was incredible. Obviously, there were specific things you had to work up for that appearance, but how much guitar do you play now? Do you practice every day? If you asked me a year ago, all my time was taken up getting all of this together. It had to be done properly, on a level that it will hold up for another five, ten years or whatever. And now I’m doing all this press stuff. But if you speak to me in a month, I’ll be playing guitar. I have been playing, I’m getting up and running.